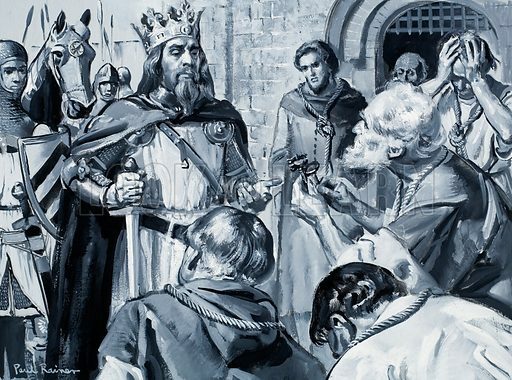 Six of the most important citizens of Calais with ropes about their necks came before King Edward III and handed him the keys to their city. Original artwork for an illustration on p3 pf L&L no. 323 (27 March 1968). Available worldwide for immediate download up to 4,644 x 3,445 pixels.